How many of us actually print our images? Since the dawn of the Digital camera way back in the mid 00's, (roughly when they started becoming widely available). How many of us just store the images on computers or the very least CD's? I'm as guilty as anyone with my personal family photos. Luckily I have prints of my children growing up. My Mother in law remained a film Point and Shoot user and got duplicates for us. Phew. It gets you thinking about what it was like growing up. Mum always had photos in albums or slides to show on a screen. Every now and then we dug them out (usually around Christmas) and reminisced about how we were back then. Fast forward 20 years... everyone is digital. Which is all good. But it's the storage that's going to be a problem. All these images we now take on our cameras, well probably nowadays it's on the phone. Where are these photos going. Straight to our Social Media. But what happens in 20 years? Will Facebook still be around? Who knows. What of the photos? Will you still be able to show your children or grand children these photos? Or are they going to be lost forever? I don't know the answer. Which brings me onto my Wedding and Portrait business. Nowadays many couples or families are happy to have their Wedding or Portrait images handed over on a USB. What happens in 20 or 30 years time? They may not have anything show. As good as technology is, we need to get back to having a physical product at the end of the day. If not the most Photographed generation will have nothing to show for it!! With this in mind all my Portrait shoots come with a set selection of prints with the option of purchasing more via the gallery. 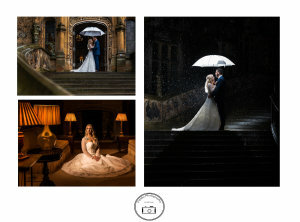 My full day Wedding package incorporates a Quality Wedding Album alongside the USB. Even my half day Wedding coverage adds a print selection alongside the USB. No matter what you take pictures of, I'd recommend getting some form of physical product alongside. Carry on making memories and recording them.. but add some hard copies. By doing this you'll be securing your memories for future generations.